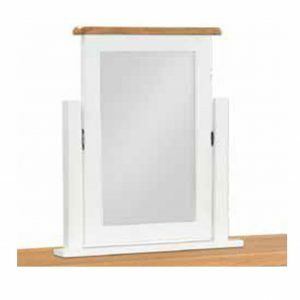 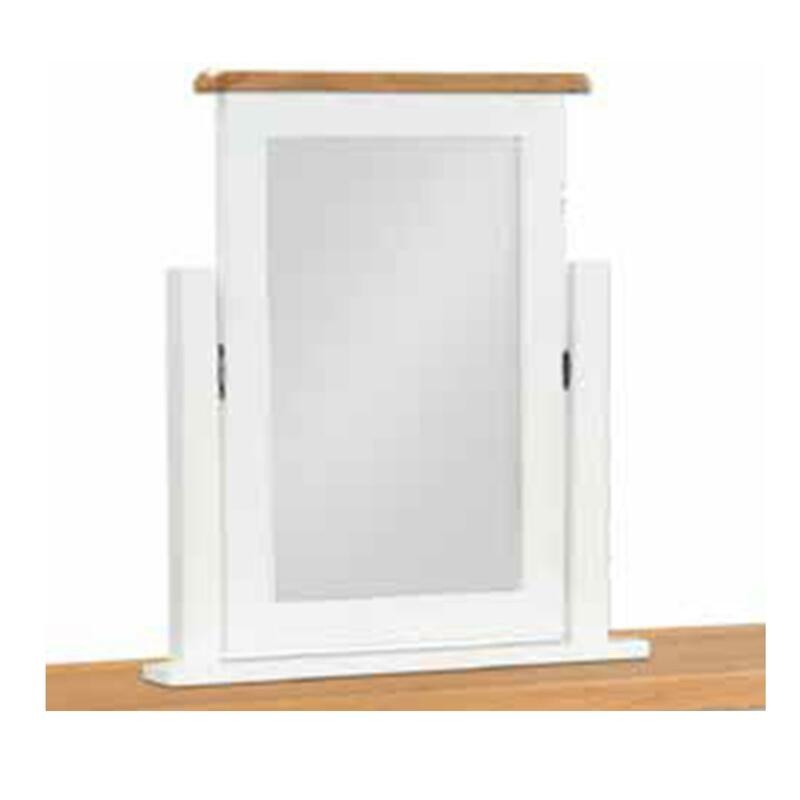 The Halle White Painted Oak dressing table mirror is a great, modern mirror. 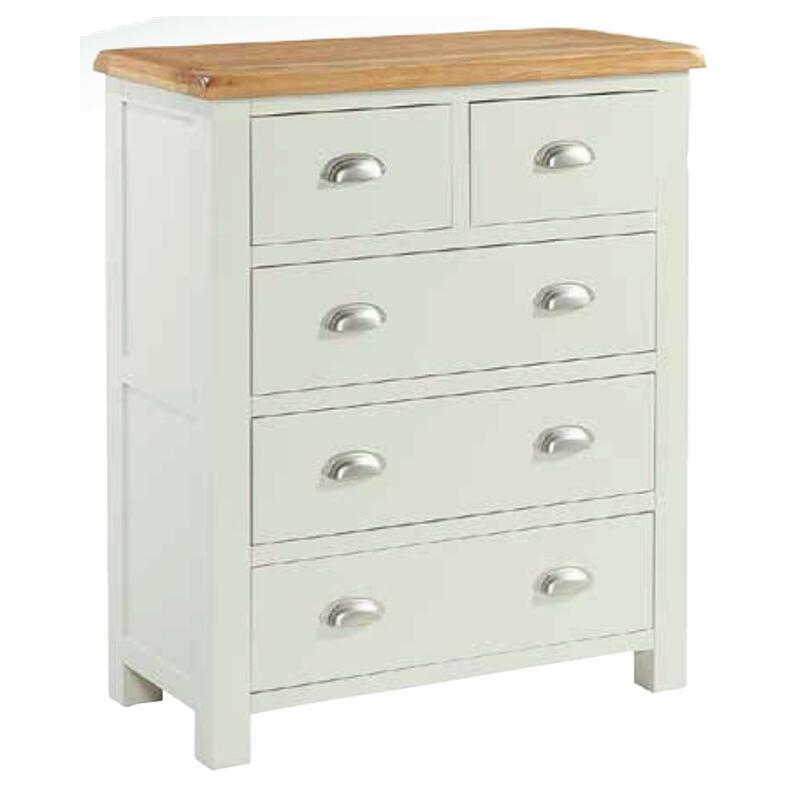 The Painted oak soft cotton white look will brighten up any bedroom space. 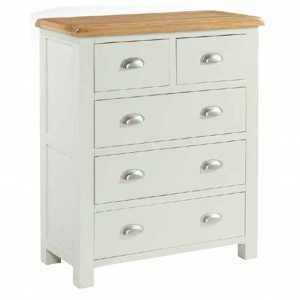 Painted Bedside with 3 Drawers. 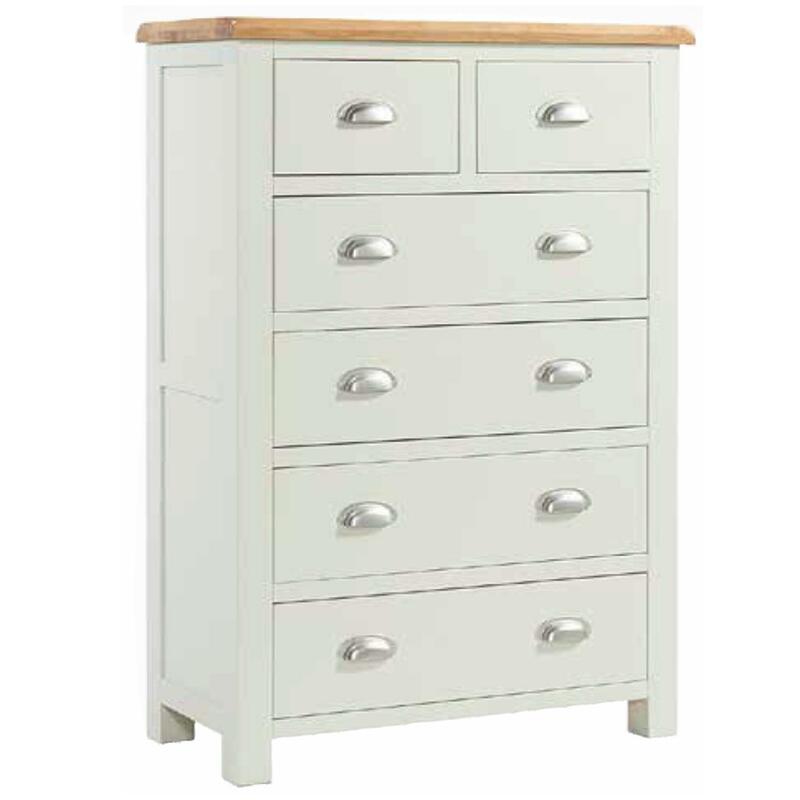 The Halle Soft Cotton Large Console is from one of our most popular ranges. The Oak top and painted body creates an eye catching, modern look. 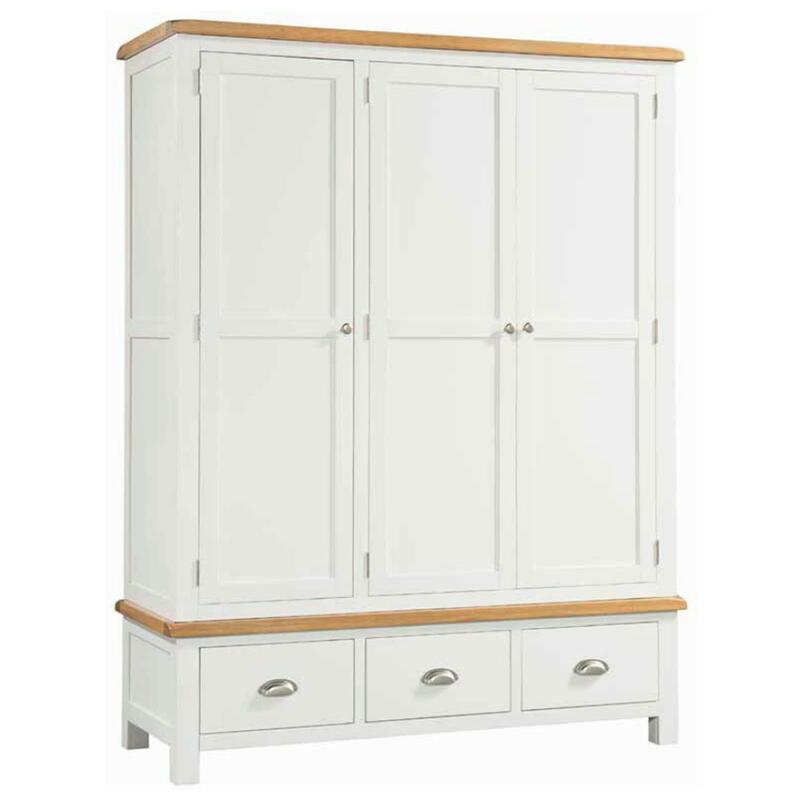 Painted Oak Large Standard TV Unit. 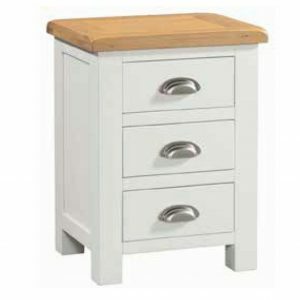 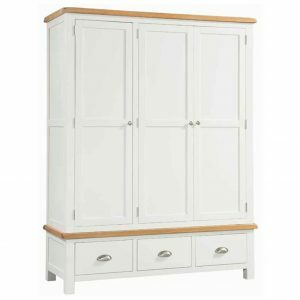 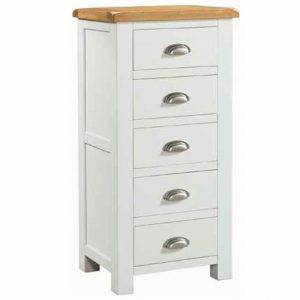 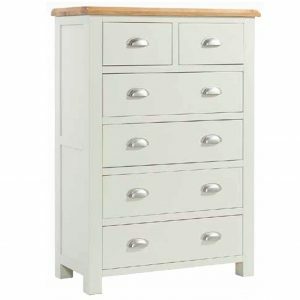 The Halle Soft Cotton Tall 5 Drawer Chest, is from one of our most popular ranges. 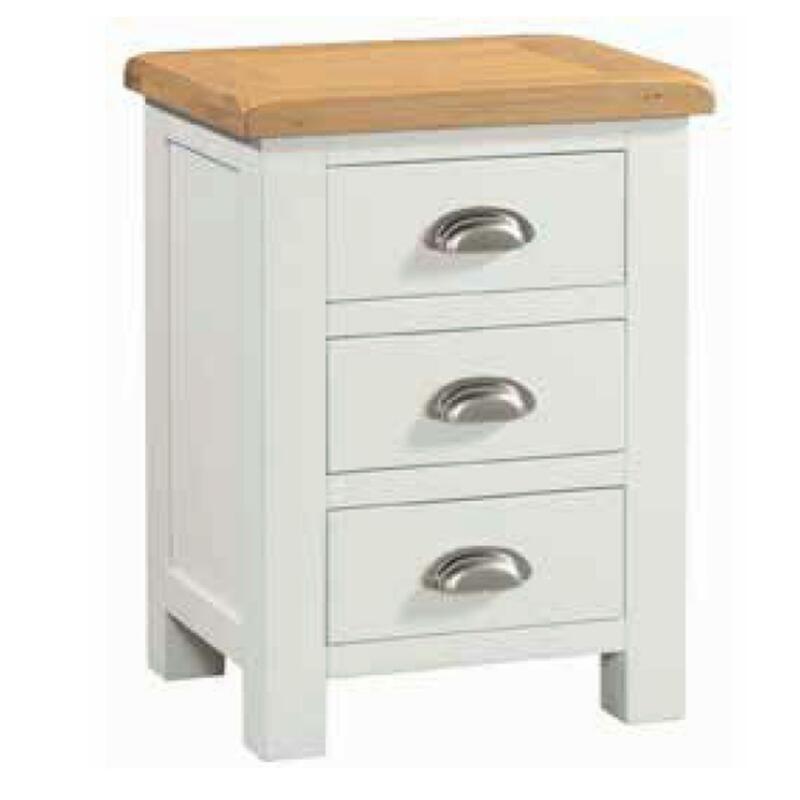 The Oak top and painted body creates an eye catching, modern look.